Following successful roll-outs across a variety of UK cities in recent months, food sharing app OLIO launches in Cardiff as its first city in Wales. Smartphone users throughout the capital now have access to the app providing local people and businesses with a simple way to reduce food waste and connect with their community. 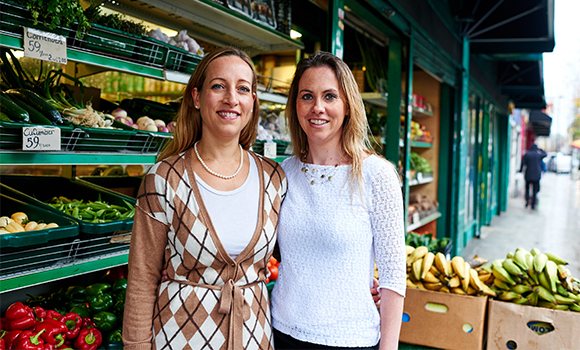 OLIO is a free app that connects neighbours with each other and with local independent shops so surplus food can be shared, not thrown away. This could include food nearing its use-by date from shops, cafes and markets; spare vegetables from the allotment; cakes from an amateur baker; or groceries from household fridges when people go away or move home. To access the app, users simply snap a picture of their items and add them to OLIO. Neighbours then receive customised alerts and can request anything that takes their fancy, and arrange pick-up from home, the store, an OLIO Drop Box, or another agreed location. The new food sharing service is a natural fit for Cardiff and further reinforces the city’s commitment to initiatives of this kind. The introduction of OLIO follows Cardiff’s involvement in the Love Food Hate Waste: 10 Cities campaign, which focuses on helping the local community to reduce their food waste. The social, economic and environmental case for action is compelling. Globally, a third of all food produced is wasted (FAO), and of the 400,000 tonnes of food and drink thrown away in Wales each year, more than half is “good food” that could have been used (WRAP Cymru/Recycle for Wales). In addition, UK households – which are responsible for half of all food waste – collectively bin over £12.5bn of edible food per year, at a cost of £700 to the average family (WRAP). pp’ in the App Store. OLIO was also the first retail technology start-up Sainsbury’s partnered with on their ‘Waste Less, Save More’ initiative. “OLIO is the perfect scheme to come to the lively, progressive and foodie city of Cardiff. It’s a fantastic and simple idea to help win the war on waste,” added Anna Necrews, Cardiff local and OLIO ambassador. The issue of food waste is also costly for local stores and governments, and ranks as one of the world’s largest emitters of greenhouse gases. OLIO seeks to address these problems by combining cutting-edge mobile technology with the power of the sharing economy and an engaged local community.